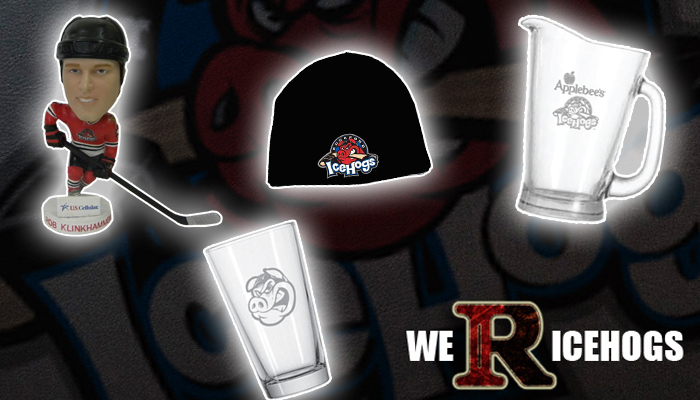 Rockford, Ill.- The Rockford IceHogs are joining in the Black Friday frenzy by offering fans the “Ultimate Fan Pack” on Friday, Nov. 25. 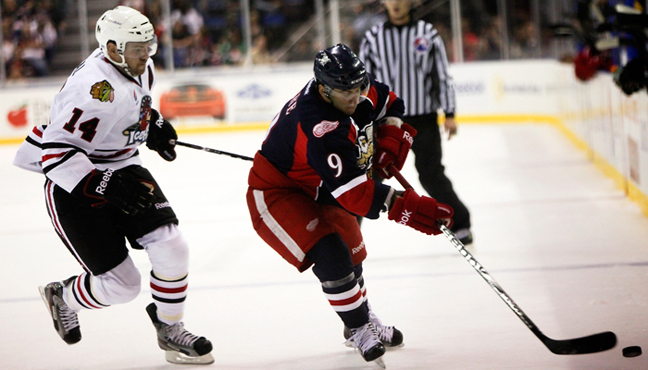 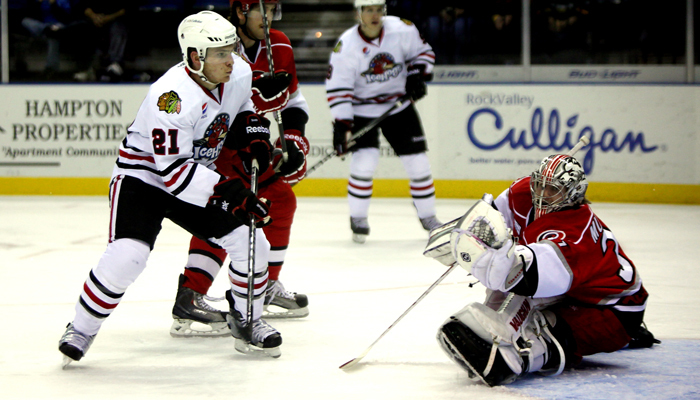 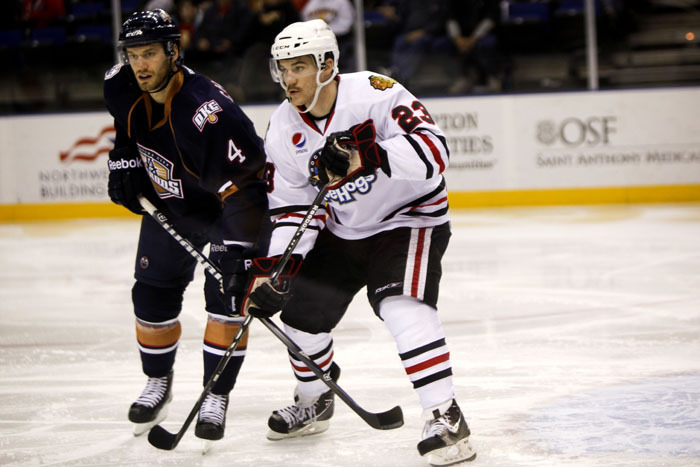 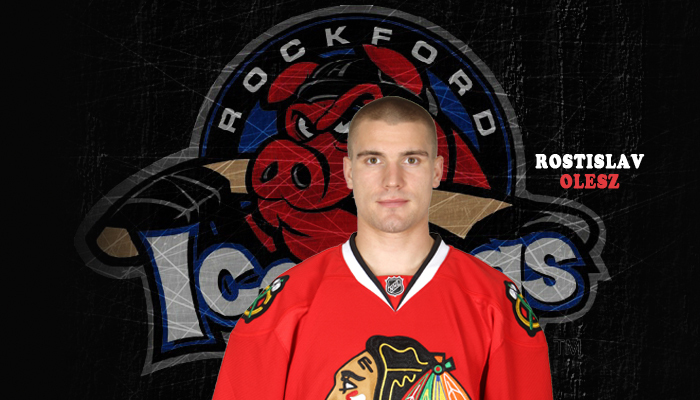 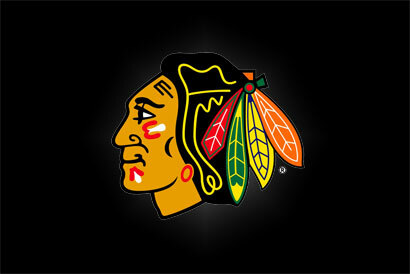 The Rockford IceHogs opened the week on a positive note, defeating the Grand Rapids Griffins 5-3 at Van Andel Arena. 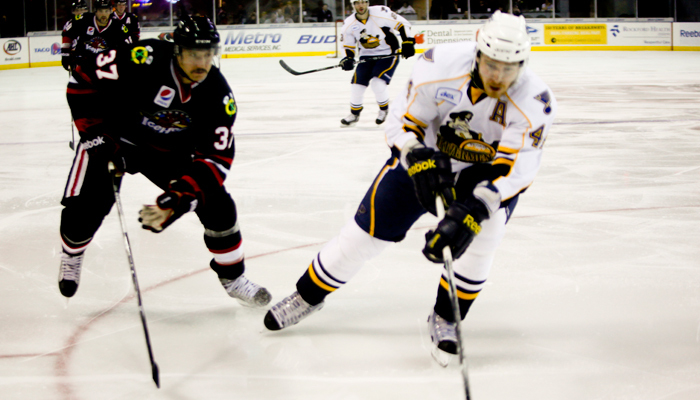 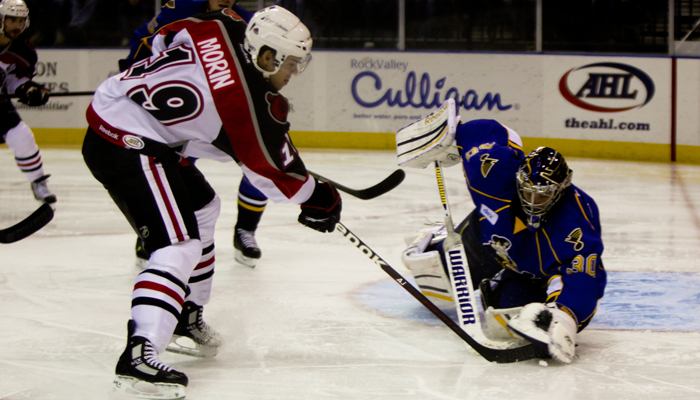 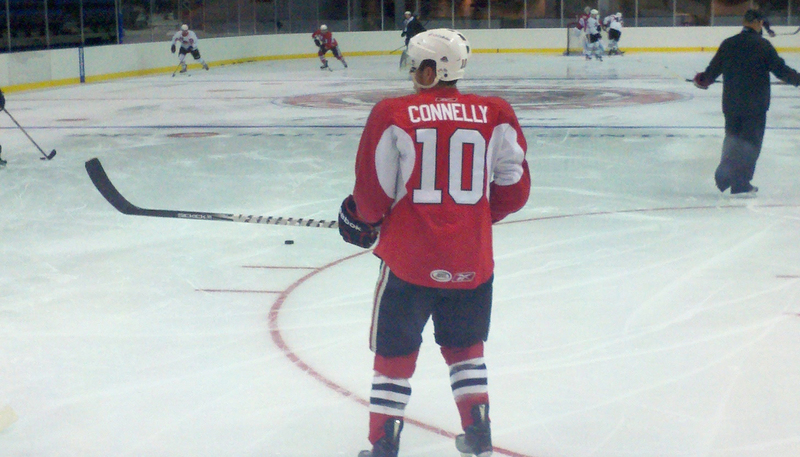 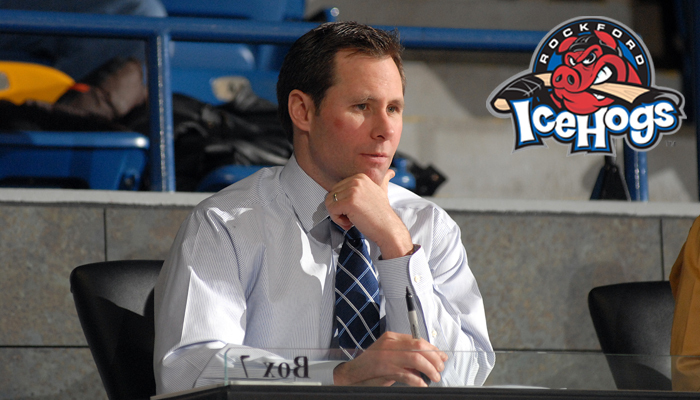 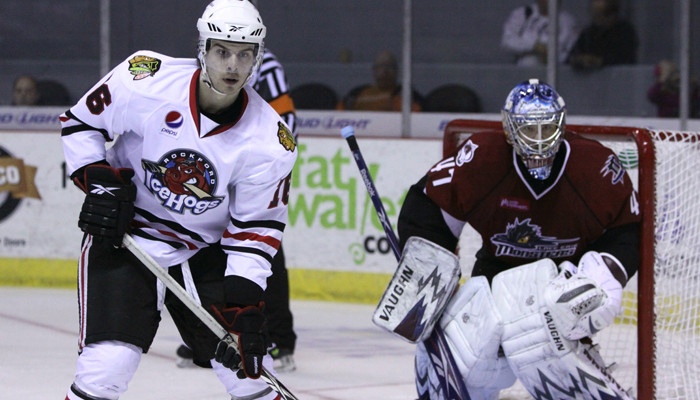 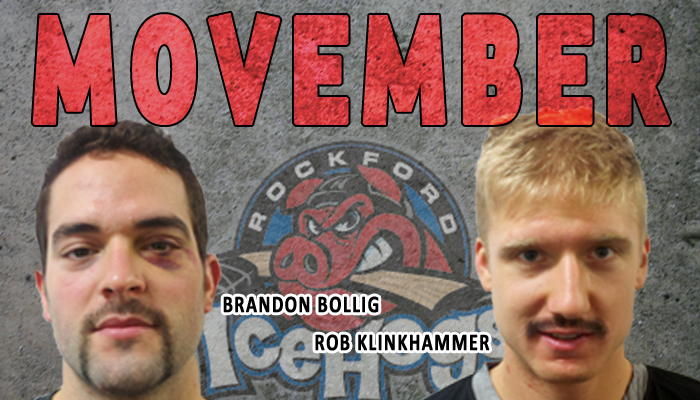 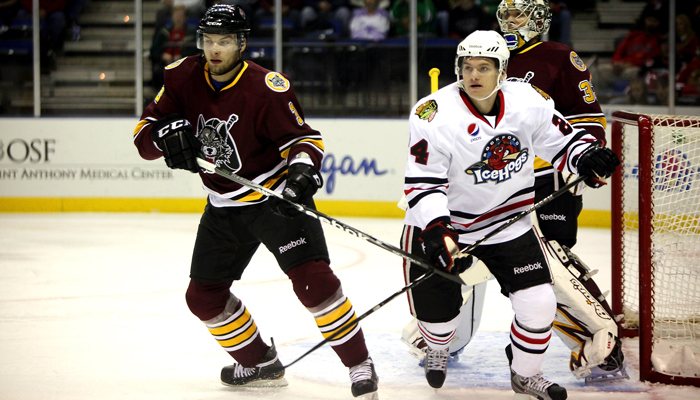 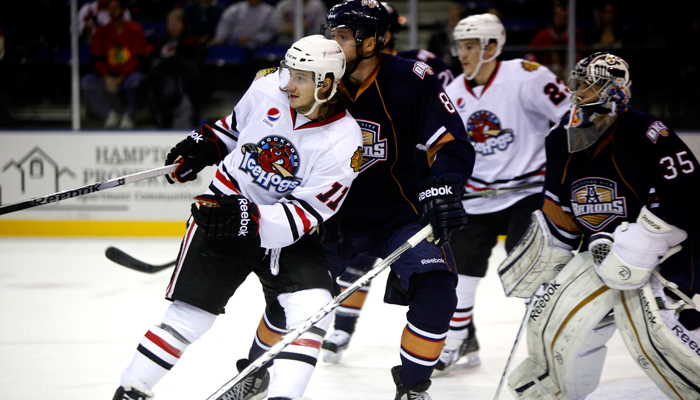 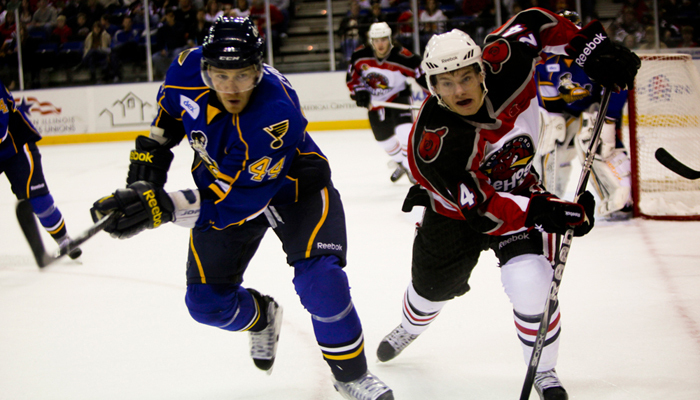 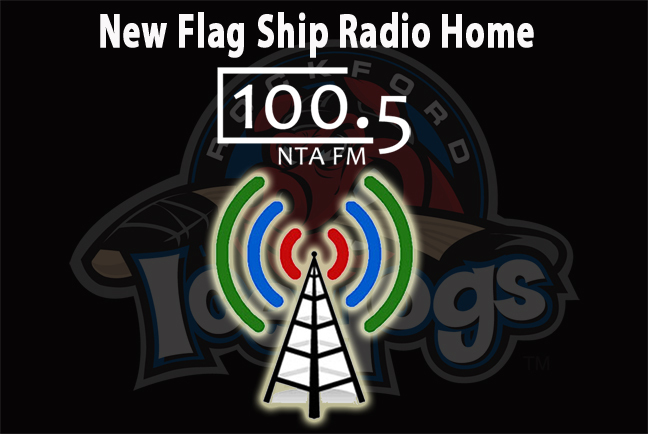 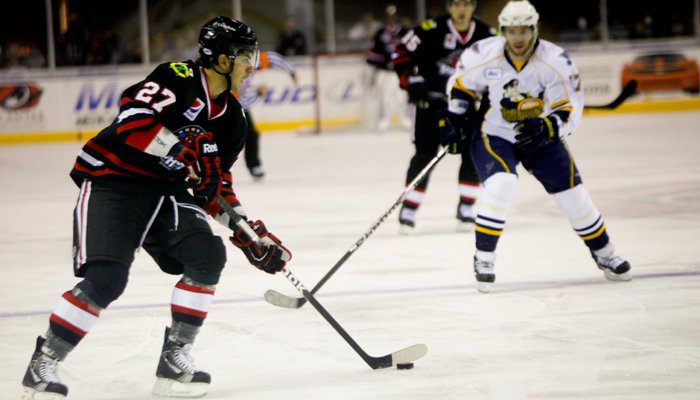 But the IceHogs were unable to maintain the momentum, falling 7-6 in overtime to the Rivermen in Peoria on Friday. 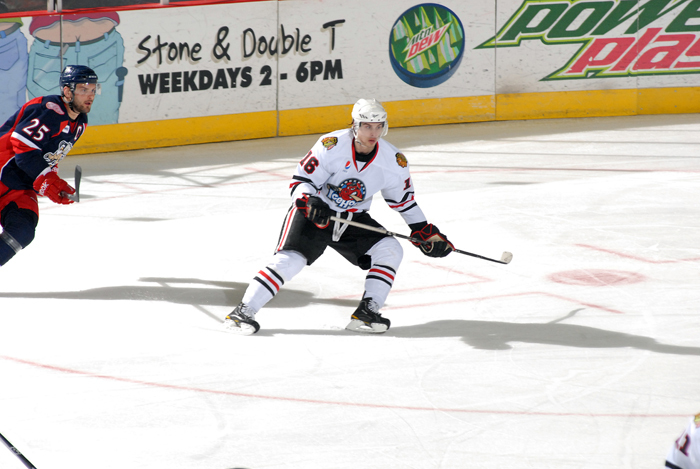 On the inaugural Heritage Night at the BMO Harris Bank Center on Saturday, the IceHogs offense was unable to muster a goal, as Rockford lost 3-0 to Peoria. 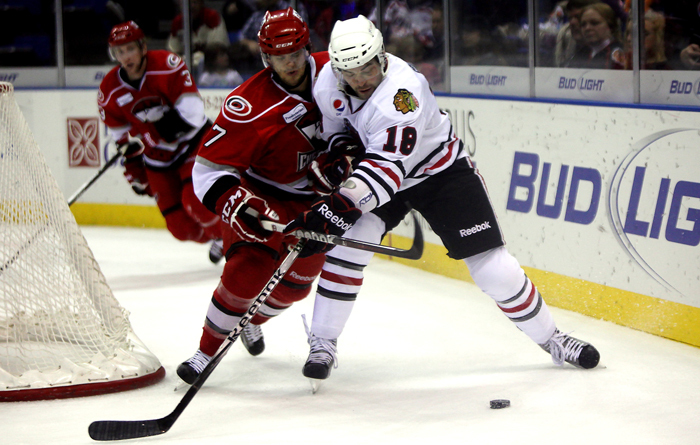 The IceHogs host the Oklahoma City Barons on Wednesday for the first meeting of the season between the two teams before traveling to Charlotte to battle the Checkers on Friday and Sunday. 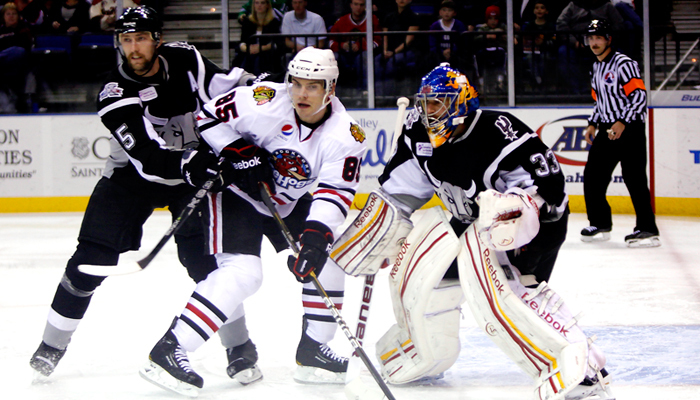 Fans will get the chance to vote for the starters at the 2012 Tim Hortons NHL All-Star Game starting Monday, Nov. 14. 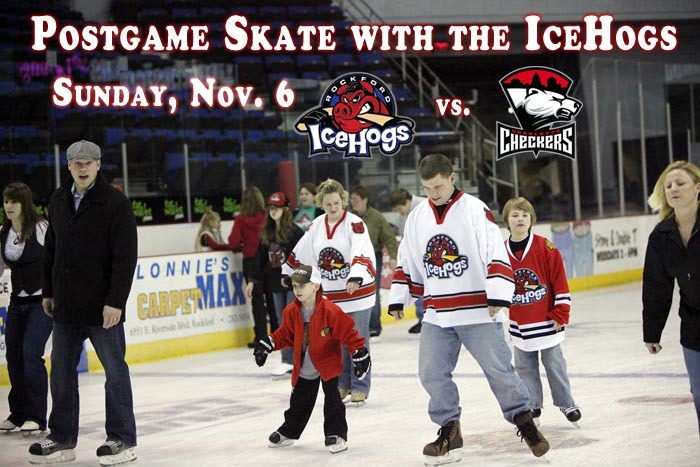 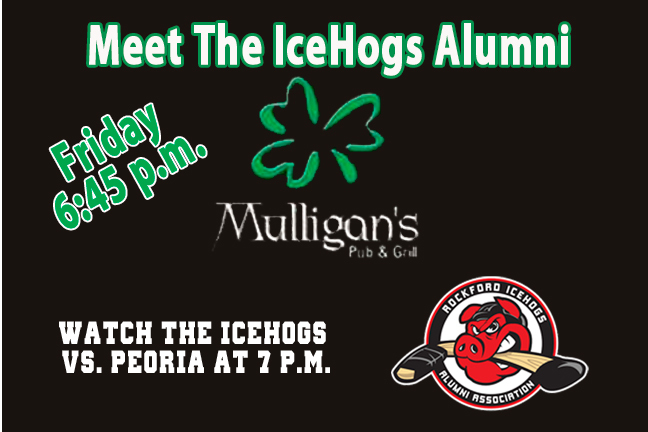 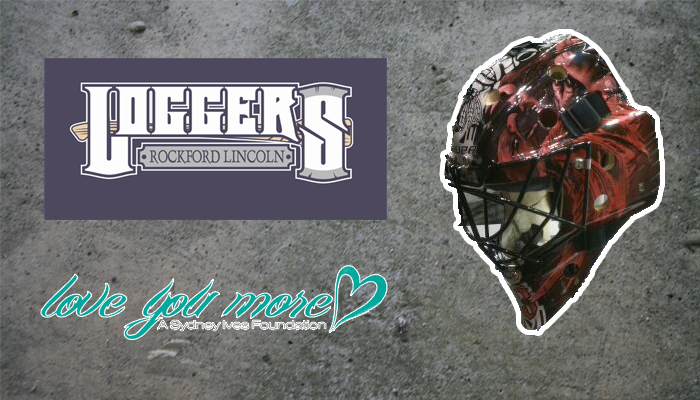 Rockford, Ill- The first Skate with the IceHogs will take place this Sunday after Rockford faces off against the Charlotte Checkers at 5:05 p.m. at the BMO Harris Bank Center.